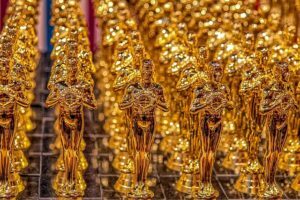 The Oscars are just around the corner; the ritual “glamour fest” laden with teary acceptance speeches and gushing outpourings of love and gratitude on an epic scale. The Academy Awards Ceremony – now in its 91st year - is revered as the glittering barometer of success in Hollywood and beyond. That means 90+ years of plaudits and presentations; 90+ opportunities, I assumed, for women to be recognised for their excellence and skills, not only in front of the camera, but behind… namely in film direction. I was wrong, by a golden mile. In its 91-year-history, the Best Director award has been snapped up by men 89 times. The only female to break the mould and raise hopes of levelling the playing field, was Kathryn Bigelow, who received a coveted golden statuette in 2010 for The Hurt Locker. I had overlooked a recurring theme… the film industry has been dominated by men, especially in the elite “big budget” movie stratosphere and the Best Director category reinforces this by a huge margin. The depressing reality is that over nine decades, you can count on one hand the number of women who have been nominated for the Best Director Oscar. Despite increasing numbers of women directing films, they are still woefully under-represented. Writing in Variety magazine, Kristopher Tapley, suggests that films directed by women don't get the same promotional push from studios during awards season. This year, not a single woman is nominated in the Best Picture or Best Director categories. This unpalatable disparity is "immensely disappointing", according to Liz Tucker, chair of Women in Film and Television UK. She concedes that how people get nominated is a deeply political process, and it can still be a bit of an old boys' network. "It seems difficult to believe that, on merit, only five women have ever been in that Best Director category,” said Ms Tucker. In 2018, women comprised 20% of all directors, writers, producers, executive producers, editors, and cinematographers working on the top 250 domestic grossing films in the US, according to research by The Celluloid Ceiling, a respected body that has tracked women’s employment on top grossing films for the last 21 years. Don’t be too disheartened as this represents an increase of two percentage points; up from 18% in 2017. Another hint of change, that the Oscars PR machine boldly trumpeted in the run-up to the gala, is that 2019 sees the largest class of female nominees, across the board, in Oscar history. Fanfare please! For me personally, the gender imbalance is a reminder of the steep (Hollywood) hill left to climb to close the gender inequality gap. Of course, I’ll still be glued to my small screen on Oscars night, watching the string of elaboratetly attired female and male celebrities parading in all their finery at this irresistibly seductive, talent-rich occasion. However, I may find myself reciting some unscripted one-liners and firing them at my tv, just to get a few grievances off my chest!